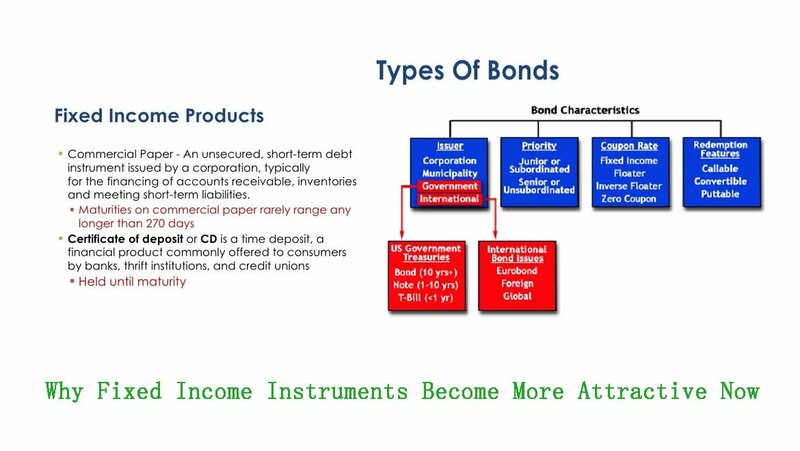 Why Fixed Income Instruments Become More Attractive Now: 10 year bond yields have soared up 50 basis points. Some funds have crashed more than 4% in a single day. Bond and debt funds where investors have hardly see a negative return did witness negative growth in their portfolio. Bonds have been rallying till the end of May 2013, until depreciating rupee halted the rally. At the time rupee hit 61/dollar, bond market rally was taken a hit. As things become difficult to control, RBI came into the picture and started taking measures to arrest the falling the rupees. RBI has hiked the Marginal Standing Facility) and bank rates, putting a ceiling on total funds available under its rope window at 1% of banks’ deposits and announcing an OMO for July 18. The effect was seen immediately as 10 year bond yields up almost 50 basis points in a single day. The funds where G-Sec holdings are more than 30% faced the heat. But as an investor, we recommend to keep investing in their respective portfolios as these measures are short term and not to panic. Most of retail investors lost money due to panic rather than any other reasons. For new investors this reaction in bonds presents a good investment opportunity. They would stand to gain once these measures are reversed. RBI’s move may have led to a short term disruption; it also creates a large-medium term opportunity for bond funds. These steps will definitely weaken the growth prospective for the economy so neither government nor RBI can stick to it for a long time. In this scenario, we expect investors to buy more dynamic bond funds and continue with the investments of a year’s horizon.